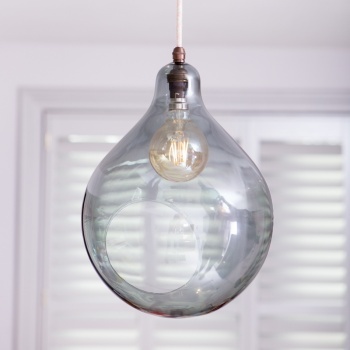 William is a stunning statement globe pendant light. 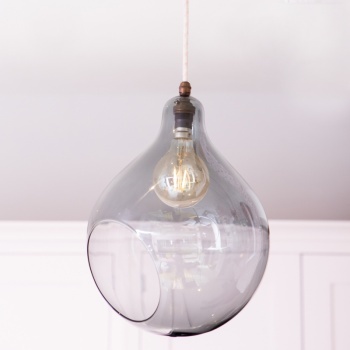 The smoked glass gives an opulent glow and looks stunning mixed with other colors or as a stand alone pendant. 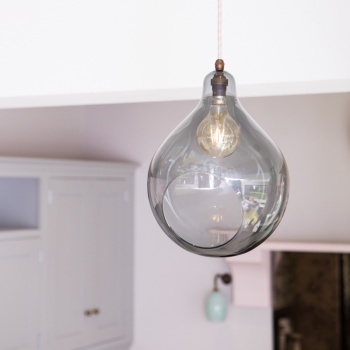 The eye catching side entry creates a unique contemporary look. 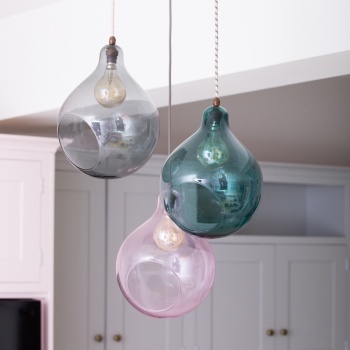 Fabulous teamed with Bertie wall lights in matching coloured glass. 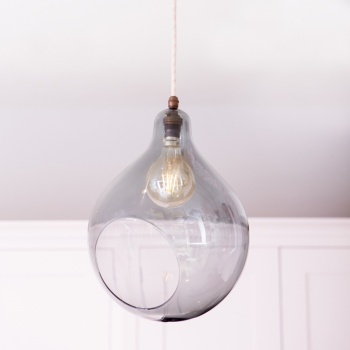 Hang over a kitchen island or table for a stylish look. 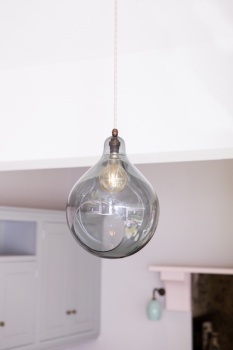 Hand blown in the UK, with lots of fabric cable colours choices, enabling you to individualise your light. 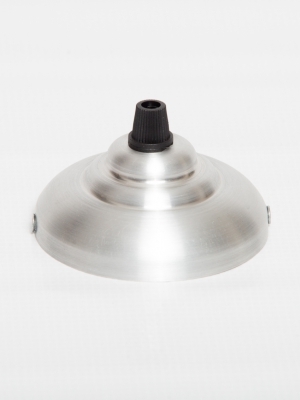 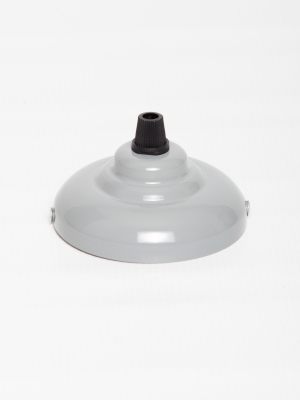 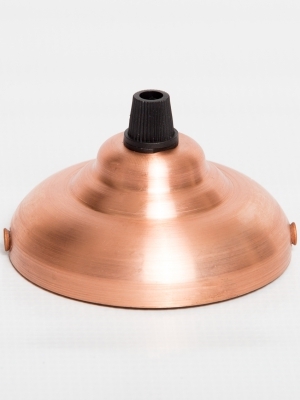 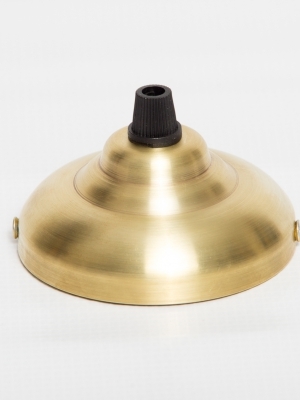 B22 British lampholder and hand spun British ceiling rose available in various finishes.